Well we got the KILL ALL code push text message today. .....very interesting that EFF/ACLU/Consumer rights groups are mute here. 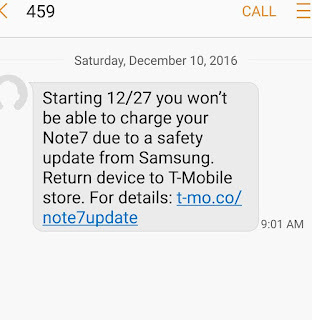 Basically when Tmobile pushed out the 60% charging update I was like ok……and used a custom cyanogen ROM to restore my rights but after this current announcement for the 19th of Dec deadline where all Note 7’s will be prevented from charging…..wtf?? Basically I’m over it and placed the order for the Huawei Mate 9- http://amzn.to/2hdvx2l and am done with Samsung, screw it. 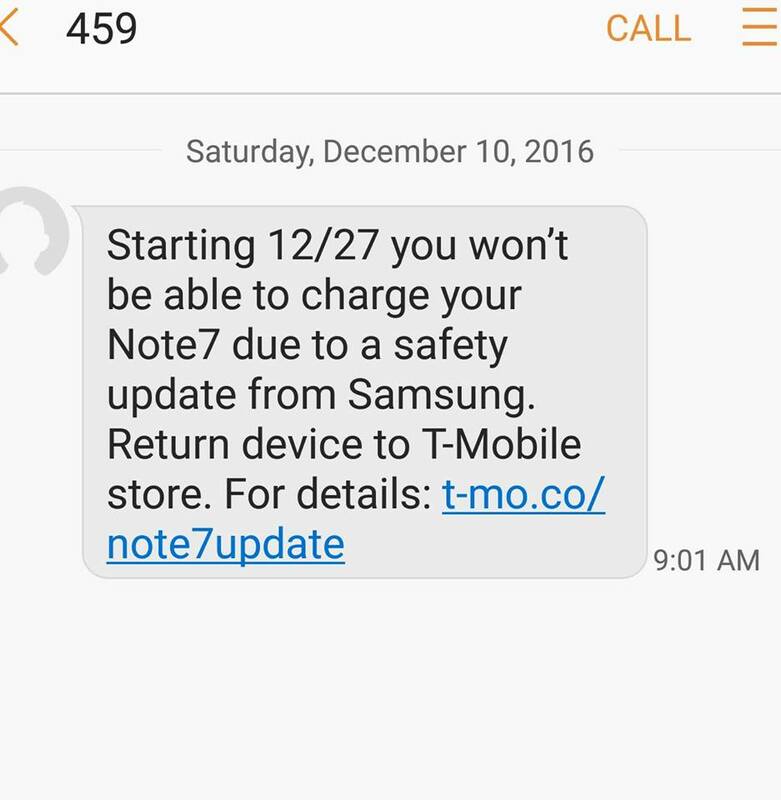 As someone who currently has 2 samsung tv’s, 3 monitors, 2 blu ray players and 2 Note 7’s……I’m unlikely to ever purchase Samsung again for a very very long time. Put that in your cost model and tell me how it works out for you.